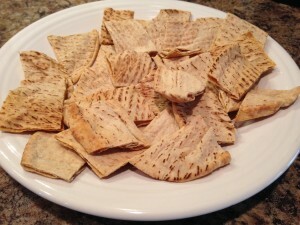 Salsa, queso or laughing cow cheese usually accompany these pita chips! Yuuuum. 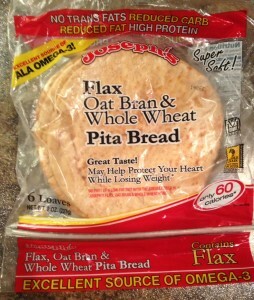 Here we have the lovely Joseph’s Pita Bread that is on THM plan! I usually buy mine at Publix and they actually go BOGO every now and then! Score! When they go BOGO, I stick a bunch in the freezer. 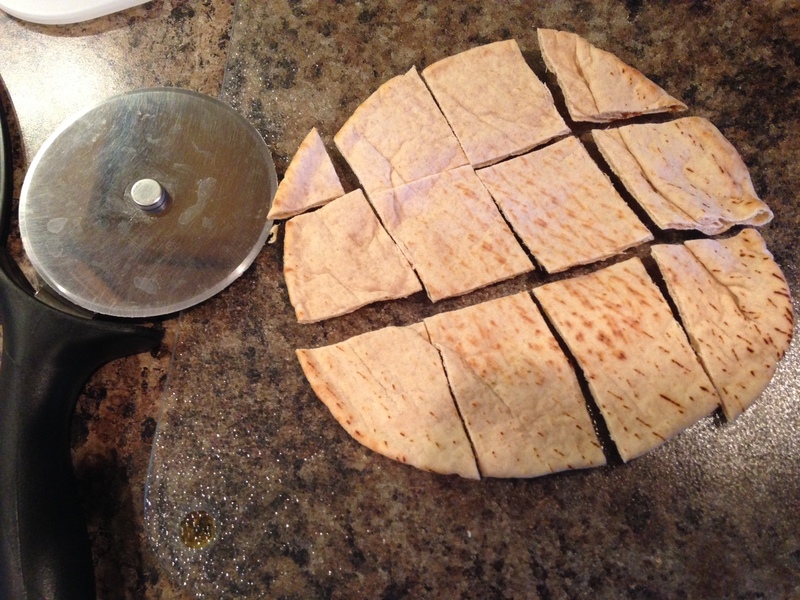 Use a pizza cutter to slice into squares/rectangles. I usually stack 2-3 pitas together and slice all at once, saves time! Then place on baking sheet with holes. 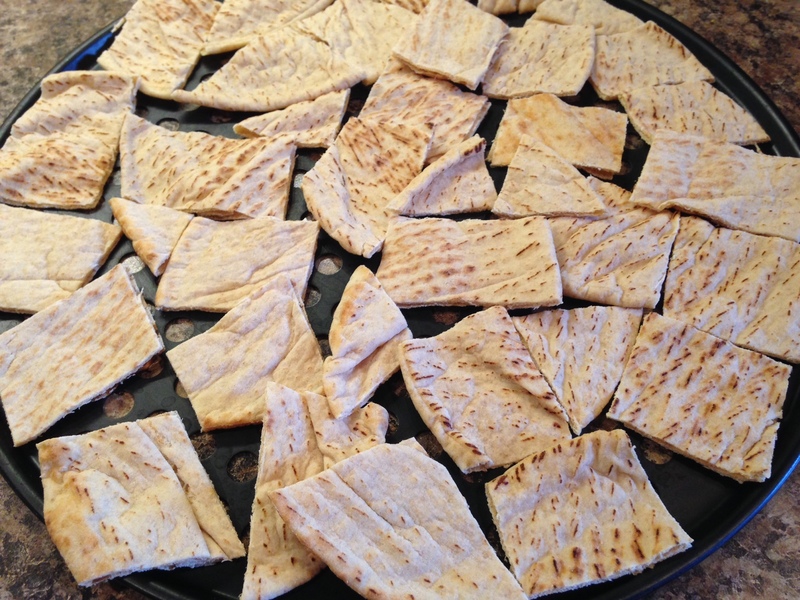 Best baking sheet ever for pita chips or pizzas if you want that crispy bottom. Bake on 300 for 10 minutes then check. I usually do another 3 more minutes. Let cool on a plate and there-ya-go! I store mine in a gallon ziplock bag and they stay good for like, ever. Cut into squares/rectangles with a pizza slicer. Place on baking sheet that has holes. Bake 300 for 10 minutes, check, then bake for another 3 minutes or so. Be sure to watch carefully because they brown fast after those 10 minutes. If your oven cooks hot, then maybe start with 7-8 minutes then check. Store in a gallon ziplock bag in the pantry. No need to refrigerate. If you eat more than 1 large pita, it becomes an E. In an S setting you can have 1 large pita or 2 small pitas. This entry was posted in Bread, Snacks, THM. I LOVE this idea for “crackers” will be making them…you say these are available at Publix? I have found a site called All Day I dream about food.com which has a great “cereal” which I am fooling around with to get it just right…cinnamon “crunch”…which I need to work on the crunch part a bit. But with unsweetened vanilla almond milk it is tasty! It is great with strawberries and no sugar added whipped cream, too! I think it might be THM although I don’t follow that. 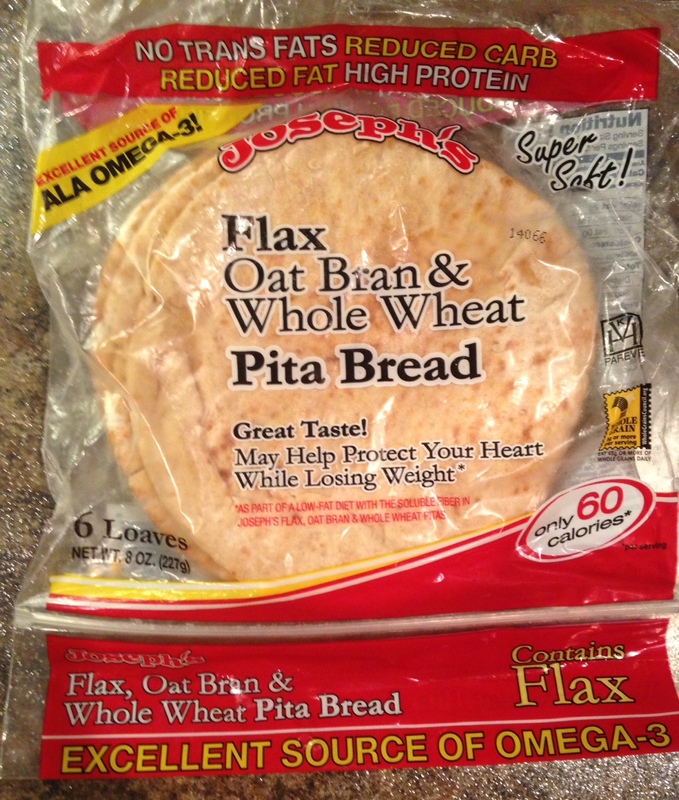 I THINK I see what you do but want to ask…Do you leave the pita doubled? Or separate it?